Thomas Robinson Architects' latest Private Residence is nearing completion. The project, a four bedroom private home, is located in a sensitive semi rural location. Natural daylight tracks the main spaces throughout the day starting in the master bedroom through the kitchen to the living area in the evening. External details are crisp and contemporary. 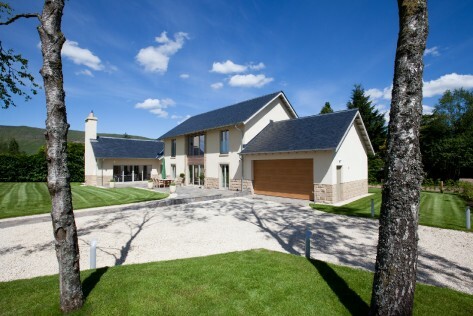 Materials are natural stone, render and slate externally with large oak beams internally. Energy efficiency is high priority with an air tightness result of 2.29m3/hxm2. Thomas Robinson Architects are pleased to have worked with Clancy Consulting and W.S. Dunsire on this project. More photos to follow.